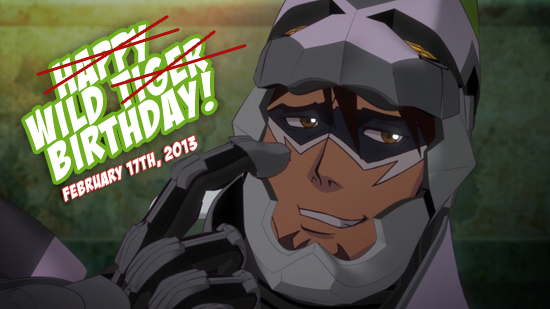 The Wild Tiger Birthday on February 17th! For Fun: A Wild (Tiger) Birthday! 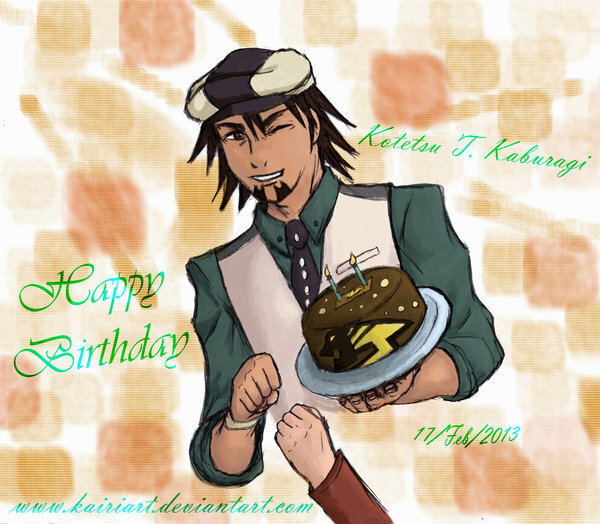 Even though we don’t know when Kotetsu’s birthday officially is, that doesn’t mean we can’t celebrate, right? The Japanese side of the fandom has decided on a date to celebrate his birthday, with the following reason: Kotetsu is wearing amethysts (associated with February in general), and Tiger’s eye (the color of his eyes) is the birthstone of February 17. So February 17th it is! If you’ve taken part in the previous events, you know how this goes. Make some birthday goodies and take photos of them, then send the photos to us. This time you can send in digital fan art, pictures of traditional art or handicrafts, and as always in T&B style, pictures of food. Fried rice is always acceptable, and birthday cakes are a given. 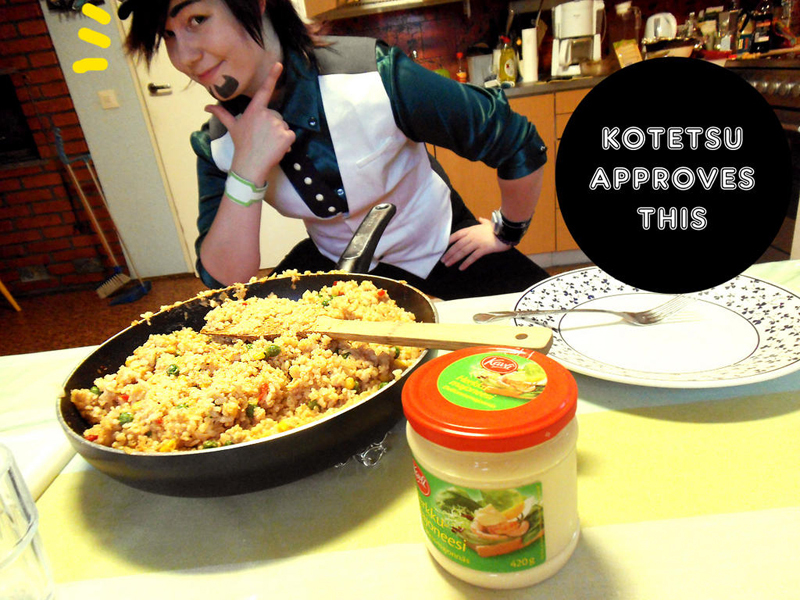 Include Kotetsu in the picture in some way to show the presents (or the party if you decide throw one) is for him! Please send your pictures to mail[at]thisissternbild.com by February 18th. Aki and I have been watching the English dub of Tiger & Bunny. Neither of us expected to get this into it, but here we are. Dying for episode 9 dubbed. The start with the dub was pretty bumpy – which I think was a combination of the voices sounding unfamiliar after seeing the original so many times (read: we lost count how many times), and the voice actors themselves still settling into the roles. By episode three that had evened out. The translation has some minor issues and a couple of derps a fan will notice, but we can forgive those. As a whole it works, and the important character chemistry is still there. Yeah. I was going to add some snippets of our dub watching chats here but since they mostly consist of capslock keysmashing because of FEELS, I’ll just leave it at that. The dub has gone from being an excuse to rewatch the series to something we’re looking forward to every week. Earlier this month, ANN posted some news about T&B’s character designer Katsura Masakazu appearing in a TV series written by Nishida Masafumi. 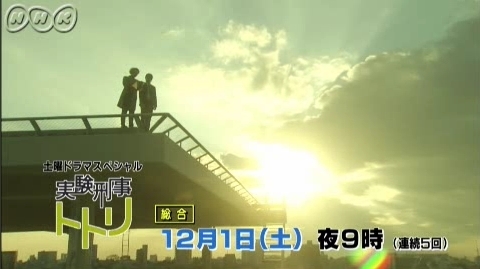 So far we’ve seen two episodes of Jikken Keiji Totori. Nishida seems to like the age gap theme, this time the rookie is the older of the duo. For a Japanese drama, Jikken Keiji Totori doesn’t really have that j-drama feel, it’s more Western. That’s not very surprising, though, Tiger & Bunny wasn’t the first Western style thing Nishida wrote. He’s also written and directed one of the few Japanese sitcoms filmed in front of live studio audience. The acting in Jikken Keiji Totori is pretty good, too. We’re really enjoying watching it, and if you like Nishida’s writing it’s definitely worth checking out. We’ve been a bit quiet here at This is Sternbild recently. Mainly for two reasons: I spent the last two months on my bachelor’s thesis, and Aki was getting ready to go to Japan for a year. Now my thesis has been defended and Aki’s getting cozy with all the Taibani available in Japan so we’ll be more active. So, down to business. 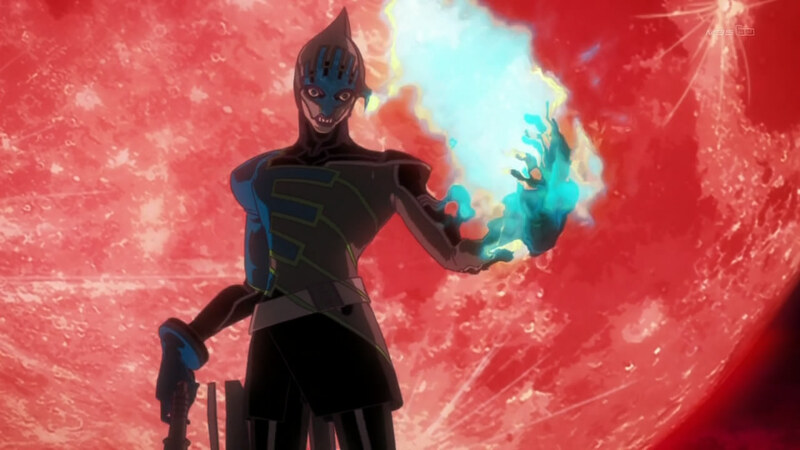 The English dub of Tiger & Bunny premiered a couple of days ago on Viz’s Neon Alley PS3 service. I don’t own a PS3, nor do I live in North America where Neon Alley is available. There’s a rip on the interwebs that I watched instead. This is all my personal opinion, Aki hasn’t been able to watch the dub yet. I think that when you rate the dub, you have to take into account that the English dub actors had an advantage over the original seiyuu. The original version was recorded with the seiyuu getting only the information necessary to play their characters correctly, they didn’t get any extra information until they received the scripts. The English VAs on the other hand have had the opportunity to watch the series and build their performance from that, and there’s a lot more background material available now. The Japanese version is also more subtle, the English dub is blatant with some things compared to the original. It’s a cultural thing, Japanese language just works differently from English. I think they also added some lines to make some things clearer or to substitute things that wouldn’t have worked in English. Friend Rice Week 2012 – The Pictures! It feels like it was only yesterday but Tiger & Bunny really ended a year ago… This year’s Friend Rice Week wasn’t as hectic as last year’s Friend Rice Event, but we still got lots of pictures. This time we were open also for cosplay and fan art, so there’s a lot more difference in the pictures than in the previous event. Thanks, and thanks again, everyone! We hope everyone had fun cooking – and eating! Let’s believe heroes and support Tiger & Bunny!